Mozilla Thunderbird is an open-source, free andcross-platform mail client and news reader for most modernoperating systems including, but not limited to Windows, Macintoshand Linux. It offers some advantages over other mail clients, including junkmail classification. Built from Mozilla code, Mozilla Thunderbirduses Gecko, the most standards-compliant rendering engine inexistence. In addition to the feature set found in Mozilla Mail,Thunderbird has several new features and improvements to make yourmail and new experience better. Note: You must delete your old Mozilla Thunderbird directory ratherthan just overwriting the files there. Not doing so WILL result inproblems and you should not file any bugs on Mozilla Thunderbirdunless you’ve first done a clean install. · Simple to use, powerful, and customizable, Thunderbird is afull-featured email application. Thunderbird supports IMAP and POPmail protocols, as well as HTML mail formatting. Easily import yourexisting email accounts and messages. Built-in RSS capabilities,powerful quick search, spell check as you type, global inbox,deleting attachments and advanced message filtering round outThunderbird’s modern feature set. 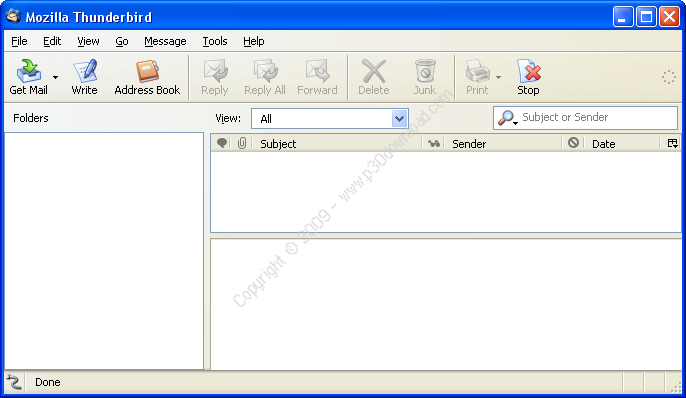 · Each email you receive passes through Thunderbird’s leading-edgejunk mail filters. Each time you mark messages as spam, Thunderbirdimproves its filtering so you can spend more time reading the mailthat matters. Thunderbird will also use your mail provider’s spamfilters to keep junk mail out of your inbox. · Thunderbird protects you from increasingly common email scams”also known as “phishing” which try to fool you into handing overyour passwords and other personal information. Thunderbird willtell you when it thinks a message might be a scam. · Thunderbird provides enterprise and government grade securityfeatures including S/MIME, digital signing, message encryption,support for certificates and security devices. Attachments arenever run without your express permission, protecting you from manyworms and viruses. · The new Software Update feature makes it easy to get the latestsecurity and feature updates to Thunderbird. Thunderbirdautomatically downloads these small updates in the background andprompts you when they are ready to be installed. · Select new button controls for your toolbars, install extensionsto add new features, or change the look of your browser with themesthe way Thunderbird looks and works is under your control.